A United States Marine who was convicted at a court-martial of putting a Bible verse declaring "no weapon formed against me shall prosper" on her computer because it was "contrary to good order and discipline," is now looking to have that decision appealed under the protection of the Religious Freedom Restoration Act. Lance Cpl. Monifa Sterling, who was convicted while stationed at Camp Lejune in North Carolina, was prosecuted for displaying a version of Isaiah 54;17 that reads: "No weapon that is formed against thee shall prosper; and every tongue that shall rise against thee in judgment thou shalt condemn. This is the heritage of the servants of the Lord, and their righteousness is of me, saith the Lord." 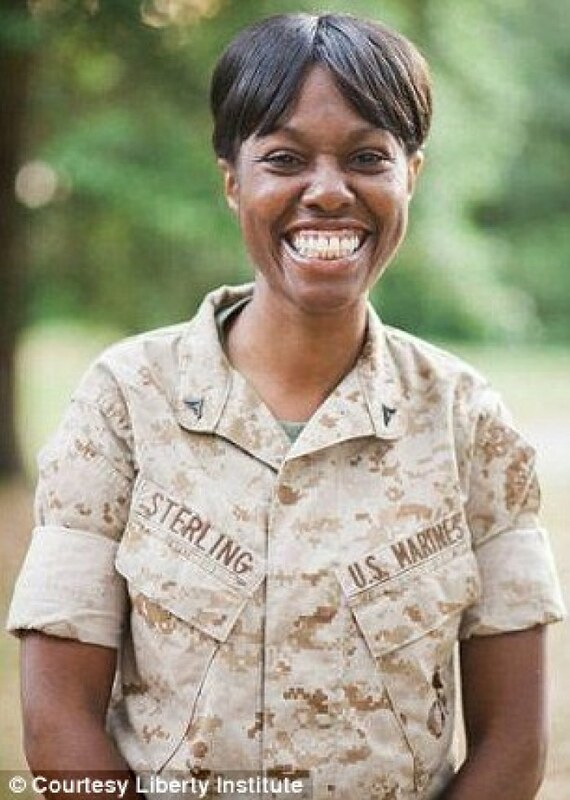 In 2014, Sterling was court-martialed for refusing to obey orders to remove the scripture from her desk, according to Fox News. After representing herself in court, she was found guilty of disrespecting a superior officer, failing to go to an appointed place of duty, and four charges of disobeying the lawful order of a non-commissioned officer. She was discharged from the Marines for bad conduct and was demoted from lance corporal to private. Liberty Institute and volunteer attorney, Paul Clement, have asked the Court of Appeals for the U.S. Armed Forces to review Sterling's case. The government found that the Religious Freedom Restoration Act did not apply to Sterling because simply displaying a Bible verse does not constitute religious practice, which Sterling and Liberty Institute argue is untrue. "If the government can order a Marine not to display a Bible verse, they could try and order her not to get a religious tattoo, or go to church on Sunday. Restricting a Marine's free exercise of religion is blatantly unconstitutional," Mike Berry, Liberty Institute director of military affairs and senior counsel, said on Liberty Institute's blog. "If a service member has a right to display a secular poster, put an atheist bumper sticker on their car, or get a Star of David tattoo, then Lance Cpl. Sterling has the right to display a small Bible verse on her computer monitor," Berry added. The military argued that Sterling's choice of scripture "could easily [have] been seen as contrary to good order and discipline. Maintaining discipline and morale in the military work center could very well require that the work center remain relatively free of divisive or contentious issues such as personal beliefs, religion, politics, etc.," court documents obtained by Fox News stated. Unfortunately, because of the bad conduct discharge, Sterling is reportedly having trouble finding a job. She remains unemployed but hopeful that Liberty Institute and Clement can get the charges reversed; Clement has had great fortune in the court, helping arts and crafts giant Hobby Lobby secure the company's successful defense of religious freedom in the landmark Hobby Lobby v. Burwell case before the Supreme Court last June. The Liberty Institute's lawyers plan to argue that Sterling's case should have qualified for the Religious Freedom Restoration Act despite the government's decision. Evangelist Franklin Graham has also called for support of Sterling, posting on his Facebook page that "there's a tolerance in our culture for everything — except the things of God and His Word. "Can our society be at a point where a supervisor can order a young Marine to remove a Bible verse from her computer? Others are able to display secular messages without any opposition, but Sterling was targeted by her supervisor. The Court of Appeals for the Armed Forces has been asked to review Lance Cpl. Sterling's case — let's pray that this kind of targeting and persecution of Christians by our government will be stopped."